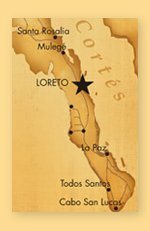 Two years ago, the miraculous outcome of our own car accident quickly gained Loreto folklore status. That was when I learned about the angels on the highway, and every time I told the story I sang their praises. Nine years is a long time to observe what people do while they wait. Through these years of observation, it seems that people fall into one of the following categories.